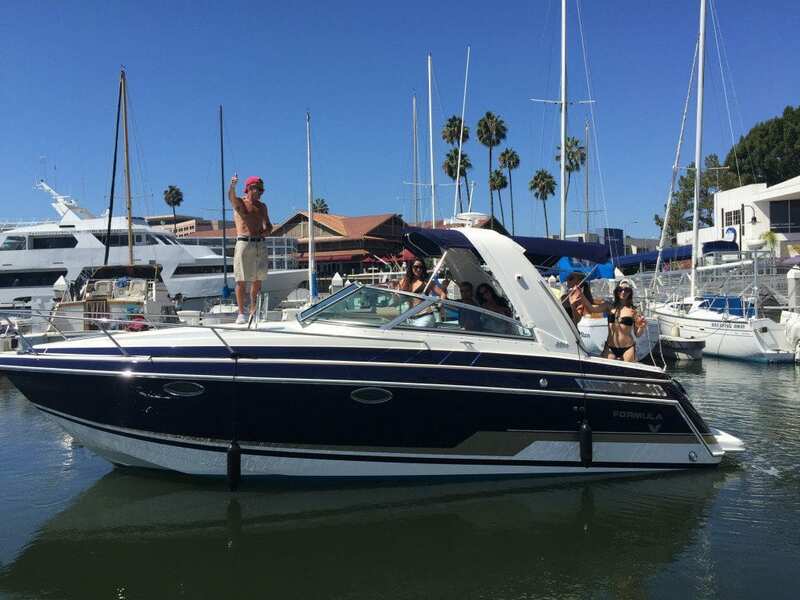 Why Join Carefree Boat Club of Los Angeles at Marina Del Rey, CA? With a membership to our exclusive members-only club, you don’t have to worry about maintenance, storage, trailering, dock fees, insurance, covering or even cleaning. You have unlimited access to not just one boat but our entire fleet of boats ranging in size from 25ft – 38ft in length, and unlimited on the water safety training. We have a very simple walk on/walk off approach. When you arrive at our docks your boat is clean and prepped for departure with a full tank of gas. After your boat outing, simply return the boat re-fueled and off you go! We are a great alternative to buying a boat. Next to LAX, Marina del Rey’s central location makes it easy for individuals across Southern California to enjoy boating without owning. Walk, bike or skate over to neighbouring Venice Beach or even boat by the pier. We are just two miles to the heart of Venice Beach – that’s 10 minutes by bicycle and only four miles to Santa Monica – or 20 minutes by bike. Home to over 5,000 boats, the Marina is a scenic mix of beautiful waterways and colorful boats. Get a more intimate view of the marina by access to complimentary use of our stand up paddleboards (SUPs) and kayaks(coming soon). These are the majority of local destinations – please keep in mind that many of these destinations have multiple points of interest. Redondo Beach King Harbor – A popular fishing marina, that is home to many restaurants, live music, drinking holes, and sea lions. Get a transient slip and grab a beer at Naja’s place and play a game in the classic arcade! Malibu Paradise Cove – No better way to enjoy Malibu but by boating by the scenic coastline by boat. There is a mooring in front of the popular Japanese restaurant, Nobu. Long Beach – many restaurants, the famous Queen Mary and many seasonal events at Shoreline Village. Catalina Island – Arguably one of the most popular boating destinations in California, you must take the time to explore the island and enjoy the annual events that take place! Avalon, Two Harbors, Cat Harbor and Emerald Cove are just a few places you must see to enjoy the crystal clear water that Catalina boasts. Newport Harbor – enjoy pulling up to restaurants via boat and the joy of being in Orange County. Channel Islands – One of the most beautiful national parks in California, the Channel Islands are ridden with majestic beauty and preserved wildlife. At the Marina del Rey Carefree Boat Club you will always have the right boat for every activity. The Carefree fleet consists of luxury Formula and other specialty boats ranging in size from 25ft – 38ft in length. The fleet is reserved exclusively for our members. More boats coming soon!! 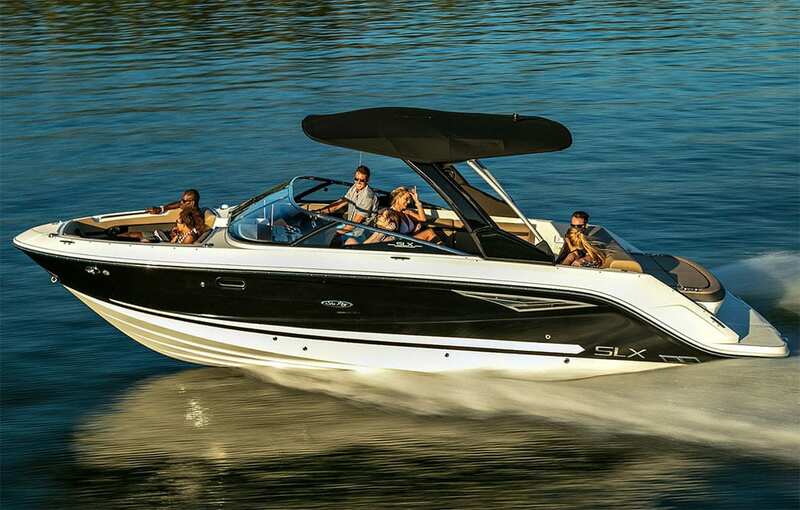 Cruisers, Bowriders, Center console fishing boats, and Walk-Arounds. With membership as little as 1/3 cost of owning a boat, you can cross these expenses off your list: boat purchase, slip fee, insurance, maintenance, repairs, taxes, towing and winterization. Use the boats as often as you would like with no additional cost. Our online reservation system allows you to pick the day, time, boat and Carefree location...easily. Varieties include 25'-38' Cruiser, Deck, Bowrider, Pontoon, Fishing, Ski and Sail Boats & more! Members have options in both type of boat and type of activity! 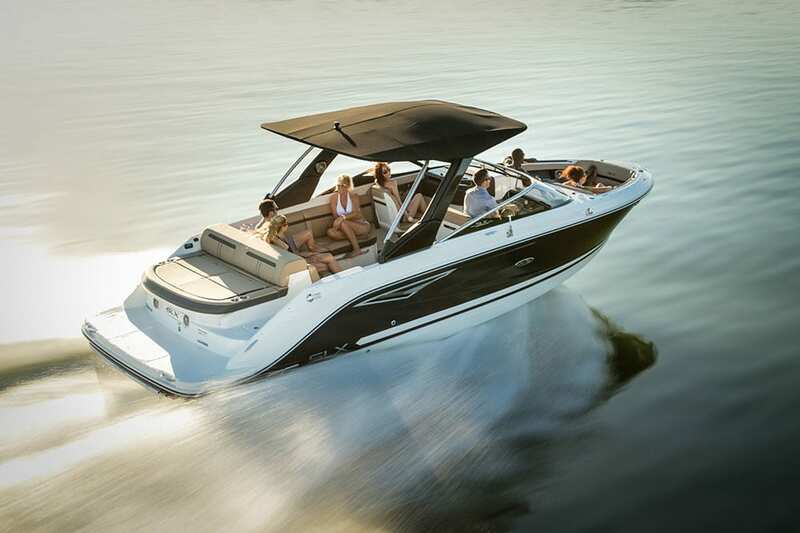 With low member to boat ratios, an easy to use online reservation system & spur of the moment walk-on access members can enjoy boating how they like when they like. Members have access to all US and Canada locations. Experience the member benefit of Reciprocity at any of our clubs, from sea to shining sea! Instructors at each location provide Boat Safety training and handling skills so our members can comfortably and safely enjoy the great variety of boats for all activities.